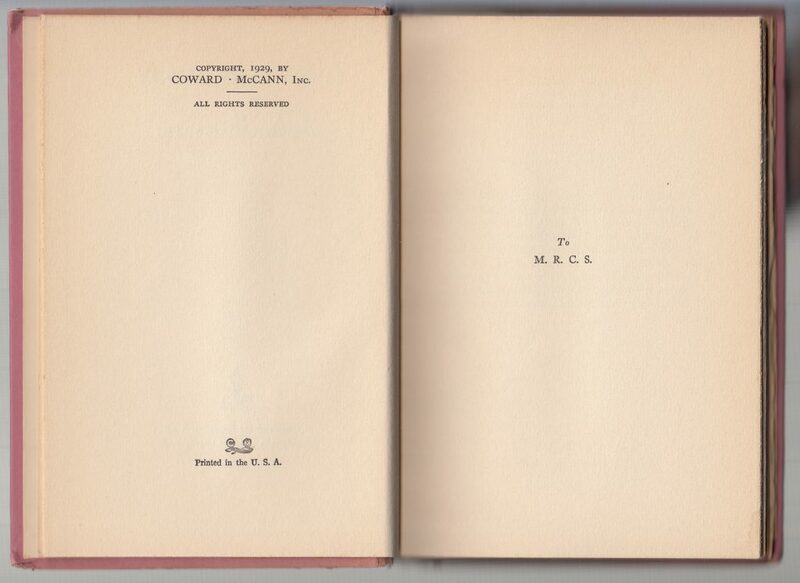 Thomas Coward and James McCann worked for Bobbs-Merrill before starting Coward-McCann in 1928. 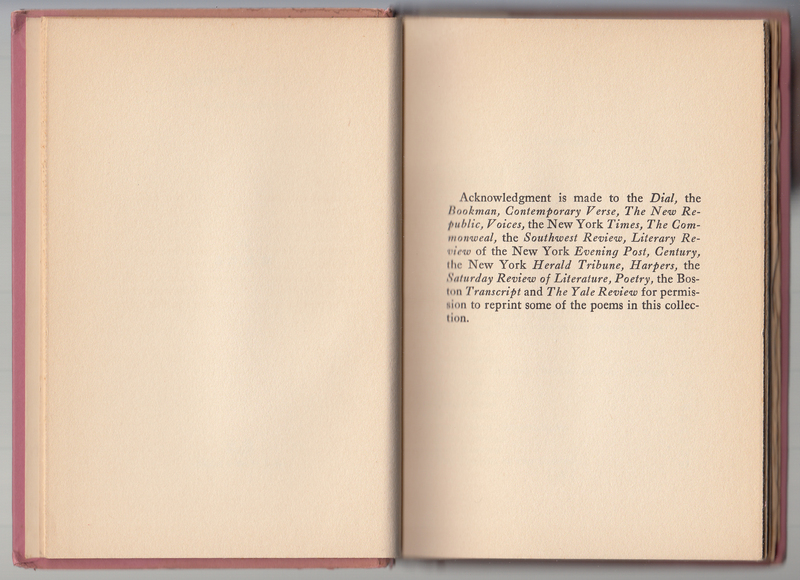 In 1933 they acquired Brentano’s publishing department. In 1936 Coward-McCann became an autonomous division of Putnam. 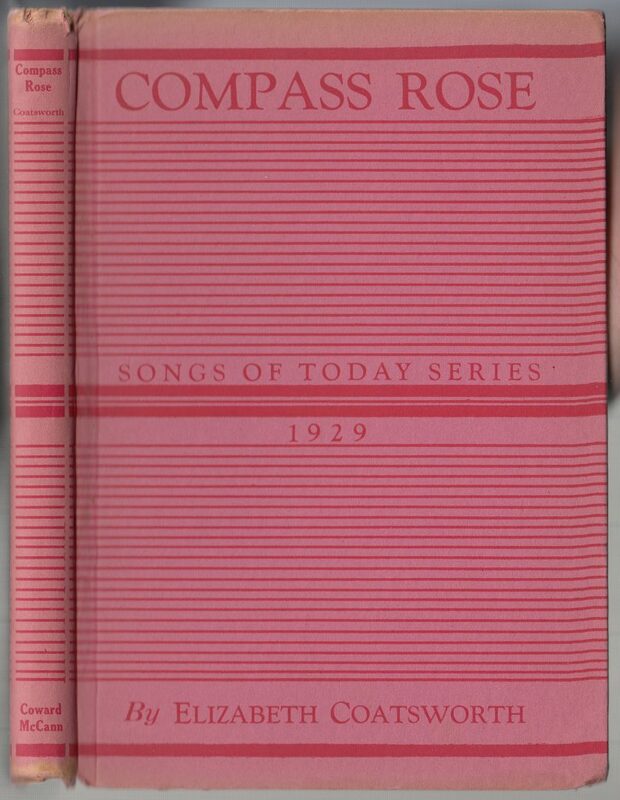 Elizabeth Coatsworth’s Compass Rose was published in the first year of the series, 1929. Jackets are common to the series. 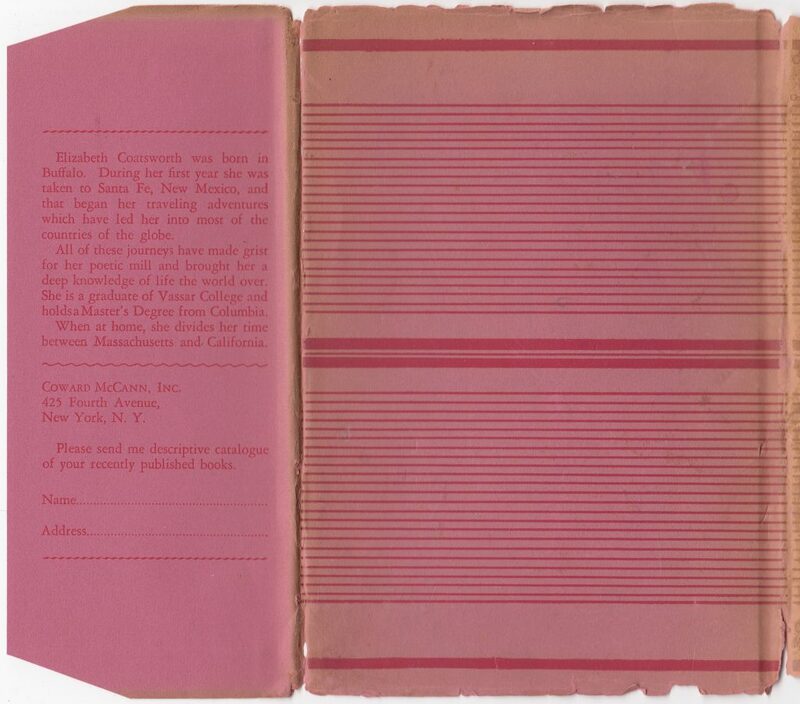 and varied the paper color and ink (rose ink on rose paper [below], brown ink on tan paper, dark blue ink on light blue paper, etc.). 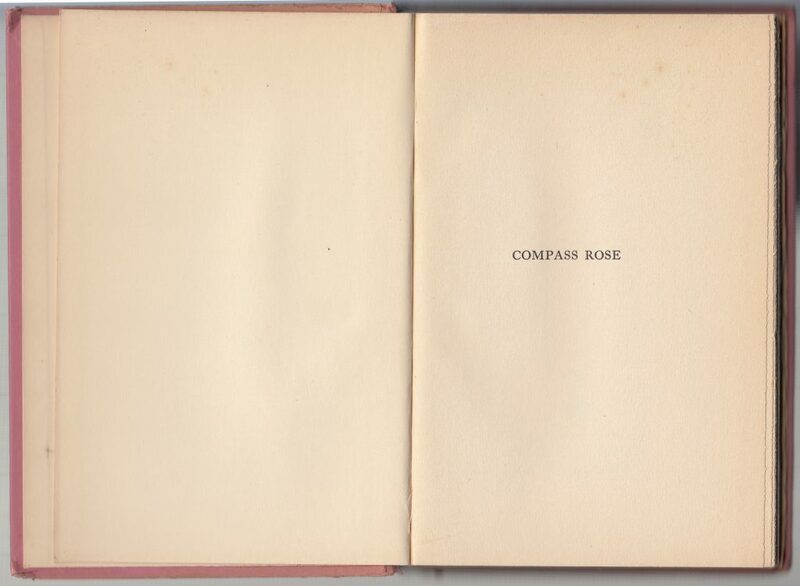 The series name appears mid-page on the front of the jacket. The linear design extends across the front, spine, and rear of the jacket. 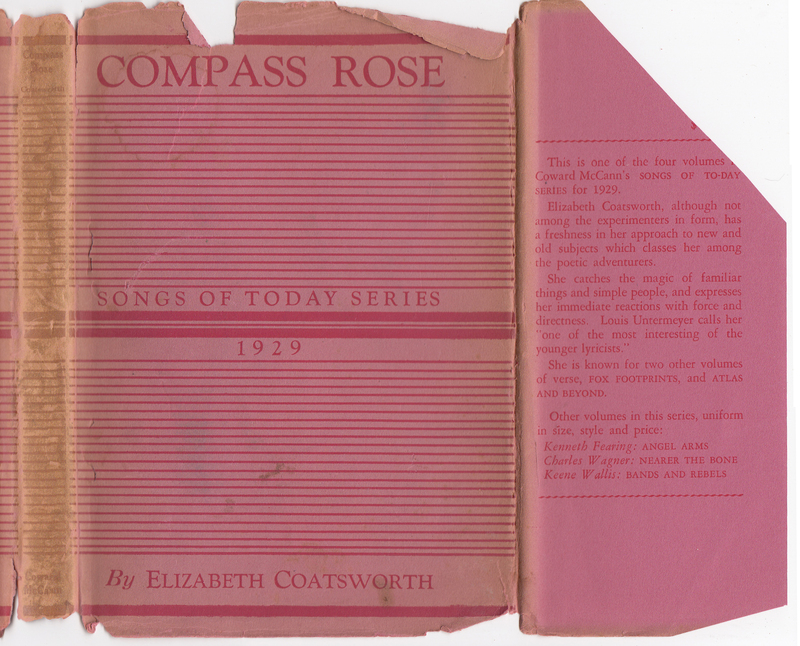 The front jacket flap describes the book and its author, and the three other titles in the series for 1929. 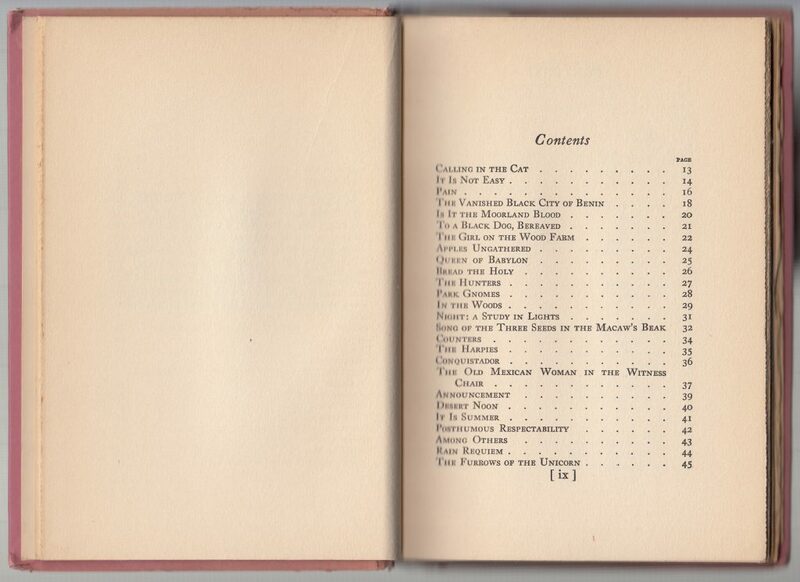 The books cost $1 (printed in the upper right of the front flap, now clipped). Curiously, the publication year of the book is included on the front of the jacket) and book. The rear of the jacket repeats the linear patterns from the front of the jacket. The rear flap contains a brief biography of the author, Elizabeth Coatsworth. 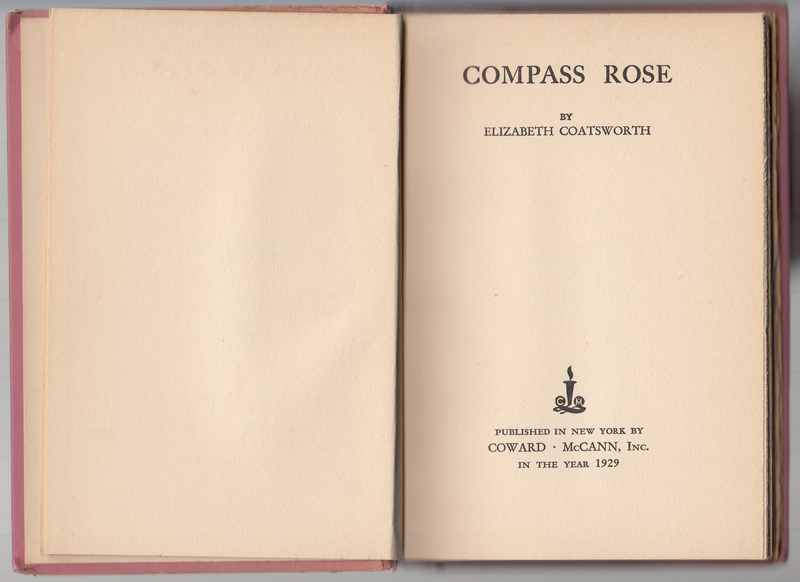 The bindings of the series titles are on heavy boards, printed in the identical pattern and same colors as the jackets. The title page includes the Coward-McCann colophon and year of printing.